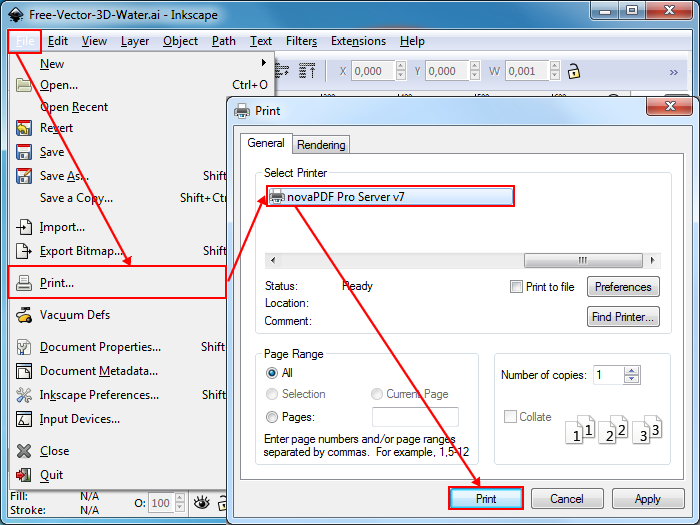 This tutorial shows how to convert an Adobe Illustrator file to a PDF document from multiple application interfaces and using the novaPDF printer driver as the PDF converter. If you do not have novaPDF installed, use our Download page to download and install it on your computer. Adobe Illustrator is a vector graphic design application released and maintained by the Adobe Corporation and having similar functionality with Corel's version for the same market called Coreldraw. 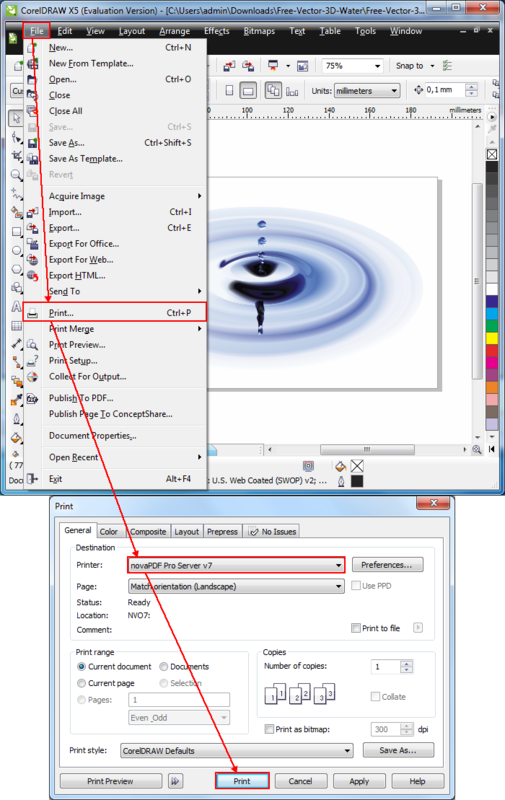 The drawings created with Adobe Illustrator have the AI file extension and can be also opened by external applications like Inkscape or ACD Canvas. The format is mostly used in professional environments such as various media printing and logo making for example. The file type also has cross platform support so it can be also managed on Linux distros and Mac computers with appropriate programs. However due to the vector image technology used in the file type by Adobe any additional programs capable of opening it will most likely render the image as a raster one and transforming the vector data in a bitmap format. However the proprietary nature of the file and the very few applications that can open it makes it very difficult to manage so having it in a compressed portable format such as PDF is a very good choice for file sharing, archiving and protection. Using novaPDF for conversion has additional features available for the users for further file processing like file merging, overlaying, bookmarking, file signing and more. After pressing OK the PDF will be created. 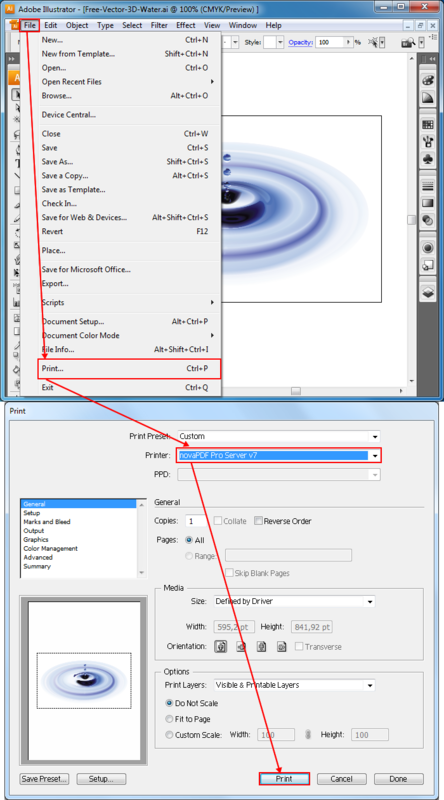 Click on Print->OK and the file will be saved as PDF.